By emphasizing prevention at home and through bi-annual teeth cleaning and exams, it is my goal to minimize treatment and care and maximize health so that my patients can have the highest level of oral health for a lifetime. Dr. Cohen attended USC School of Dentistry from 1967-1971. He attended the University of Southern California from 1962-1967 receiving a Bachelor of Arts degree in psychology. He received the Southern California Academy of Oral Pathology Cancer Fellowship at USC/LAC Hospital June 1969 – September 1969 and The Southern California Academy of Endodontics clinical excellence award. Dr. Cohen was a faculty member at the USC School of Dentistry Department of Human Behavior from 1971-1973. Dr. Cohen was born in Montreal, Quebec, Canada. 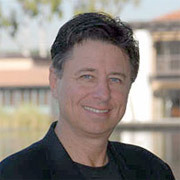 Dr. Cohen has practiced in Huntington Beach since 1971. He is married and has five children. Dr. Cohen’s passion is dentistry, but his hobbies are golf and fishing. He is a member of Dove Canyon Country Club in South Orange County.